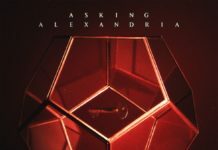 In the three-plus years since the Cab released their debut full-length, Whisper War, frontman Alex DeLeon has made it clear his career aspirations align with those of pop icons such as Justin Timberlake. That goal shouldn’t be surprising—after all, War’s best tracks (the *NSYNC-like sugarplum “Bounce,” the bubblegum-disco cut “That ’70s Song”) were calibrated for Top 40 radio, not Warped Tour. 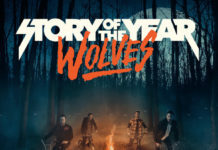 The long-awaited Symphony Soldier is certainly the Cab’s stab at pop crossover success; tempos are easygoing, dramatic keyboards abound and John Feldmann’s sleek production is radio ready. The album’s lyrics also lean heavily on pop music’s favorite themes: love, lust, heartbreak and romantic confusion. Thankfully, these topics are in good hands, because Symphony Soldier’s roster of co-writers represents Top 40 royalty. Boys Like Girls’ Martin Johnson lends a pen to “Bad,” while Maroon 5’s Adam Levine gets a credit on “Animal” and soul-pop phenom Bruno Mars contributes to “Endlessly.” (The influence of this outside help is obvious on the latter two songs, although the hard-funk of “Animal” turns out better than the somewhat-sappy, piano-driven “Endlessly.”) Highlights include “Grow Up And Be Kids”—another co-write, this time with Feldmann and Pete Wentz, it’s a high-energy version of the Michael Jackson-influenced disco-emo Fall Out Boy favored—while the electric-guitar-charged “Another Me” resembles a song by American Idol contestant Adam Lambert. Still, the album’s mainstream direction seems entirely logical: DeLeon’s a natural pop vocalist with a solid falsetto (“Lovesick Fool,” the string-laced “La La”), and he injects the right combination of sincerity, theatricality and emotion into Symphony Soldier’s songs. He often conjures OneRepublic’s Ryan Tedder, another vocalist whose versatility and ability to wring emotion from simple songs is impressive. The album’s diversity is also a plus; it touches on all aspects of modern pop/pop-rock without losing cohesion. 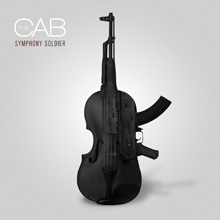 For loyal fans of the Cab, Symphony Soldier lives up to expectations; it’s the album they’ve been waiting for since 2008. 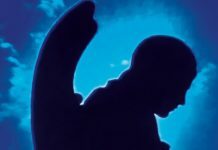 For casual fans, the ultra-commercial direction the band take might be jarring; enjoyment of this collection likely hinges on their tolerance for pop radio. And for those who don’t yet know the Cab, well, just wait: Judging by Symphony Soldier’s quality music and mainstream-friendliness, public ubiquity should be following very, very soon.